Kawasaki have an almost instantly recognisable appearance. This predominantly achieved thanks to a lime green appearance that has become synonymous with Kawasaki’s. The current ZX10R has made a significant impact in the world of motorcycling and within 5 minutes of being on the bike I could see why. 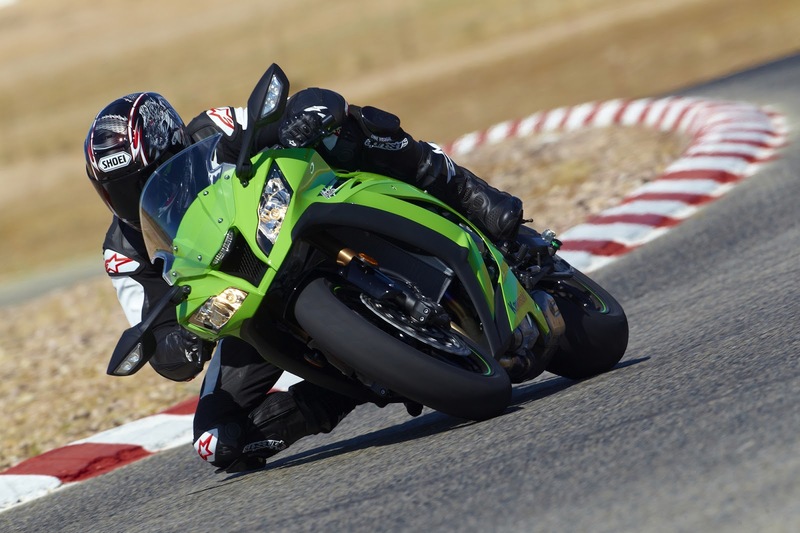 Not only is the new ZX10R hugely quick, it is also so encouraging to ride. To the average Joe Soap, motorcycles are regarded as quick. To motorcyclists, superbikes and supersports are regarded as quick. I have a CBR1000RR so I thought the ZX10R would provide more of the same, however I was stunned by the power delivery. Not anybody can climb aboard a ZX10R and hope to make it home in one piece, such is the violence of the acceleration. This bike should only be recommended to the experienced. The BMW S1000RR HP4 and Ducati 1199 Panigale will be similar in feeling. These bikes have just raised the bar that much higher and in fact are quicker than the ZX14 and Hyabusa which stands to show how much development motorcycles have undergone in recent times. The ZX10R also features an array of electronic gizmo’s in keeping with the times. Most notable is the traction control system which is superb, and necessary. Once accustomed to the ZX10R’s acceleration you will notice the traction control stepping in at certain points. This system is not invasive yet makes the ZX10R much more predictable and confidence inspiring. I love it. The new ZX10R delivers a huge amount of power and mind blowing acceleration. This is coupled with superb ergonomics and a fantastic traction control system. Get one today and you will think you’re Tom Sykes on a blast around the B streets. The only problem’s? The HP4 and 1199 Panigale.